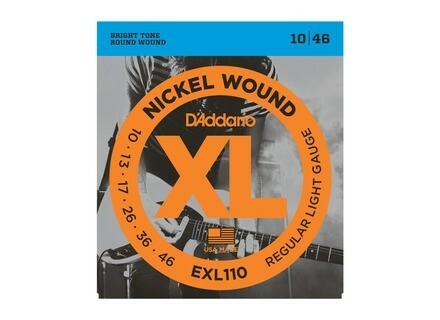 XL Nickel Wound Electric, Guitar String from D'Addario belonging to the XL Nickel Round Wound Electric model. 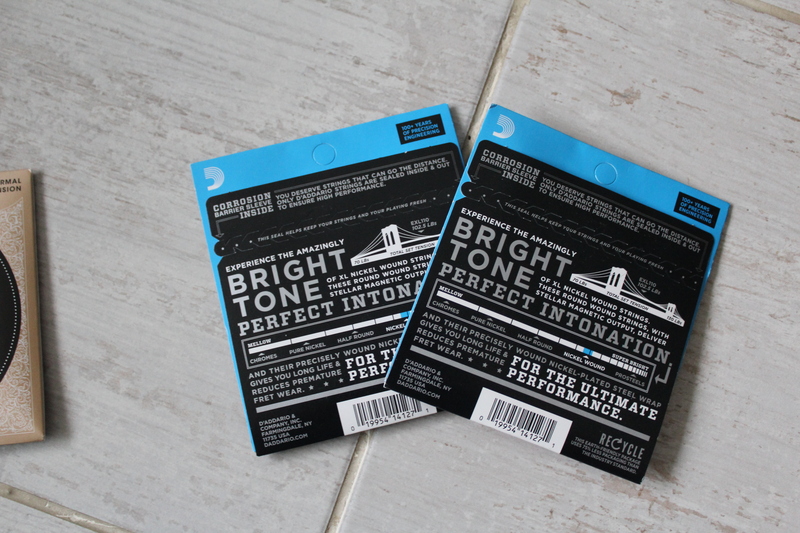 I've used these strings for about 8 years now and they've always been my favorite. I've gone through Ernie Ball, DR, GHS, Dunlop, Elixir and these have always lasted the longest and sounded the best. They stay bright and sound new for weeks if not months. They have a rougher feel than most which I happen to like, I like to be able to really feel the strings under my fingers. Recently I moved to Florida so I've been getting problems with them rusting within a week or so. Since then I have switched to coated strings, I tried Elixir but ultimately sided with Daddario again. Strings are all a personal preference so not much use in recommending them, but I'll just say I've stuck with them for a reason. 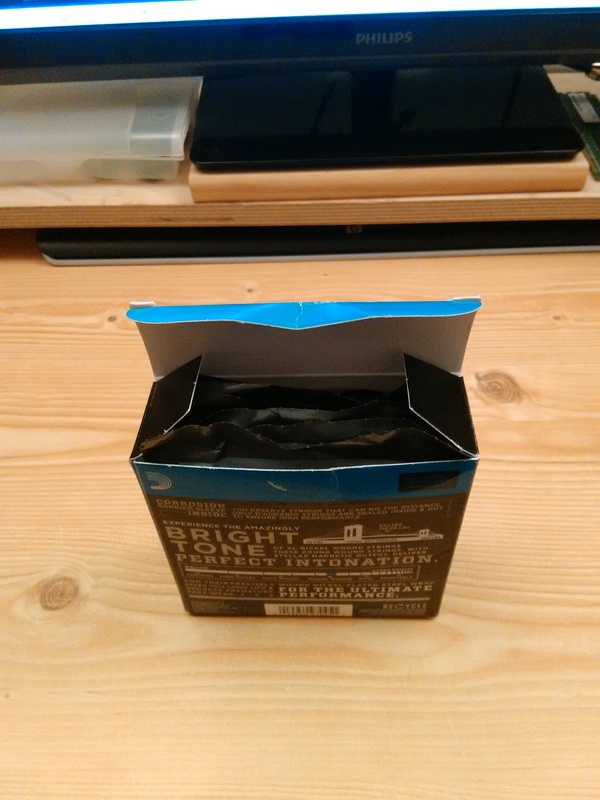 8oris's review (This content has been automatically translated from French)" Ideal for the drop C"
# How long have you use it? About 4 years, at a rate of 6 games per year. # What is the particular feature you like best and least? - Poorly distributed: hard to find without a purchase online. # Have you tried many other models before buying it? Yes. The Ernie Ball (yuck, never understood the popularity of this brand), DR (blah, did not leave me a great memory and super expensive), the Rotosound. # How would you rate the quality / price? Pretty good. I'm two months with a game, it's mostly non-threaded strings that oxidize quickly. # With experience, you do again this choice? Note that the price has dropped slightly in recent years. It went from € 6 20-5 € 90. Bidibuleable's review (This content has been automatically translated from French)" With Super Fast Fret!" I use these strings for 3 years now. The problem is that they do not last more than 3 weeks with me (sweat, etc.) after they became rusty, almost unusable (I think it's still my problem, others do not have). Their beautiful metallic sound good unfortunately lost quite quickly. However, I found a solution that works pretty well: I use Fast Fret. I always put before and after playing, do not forget to wipe the strings. This keeps this beautiful sound while keeping the strings in good condition. 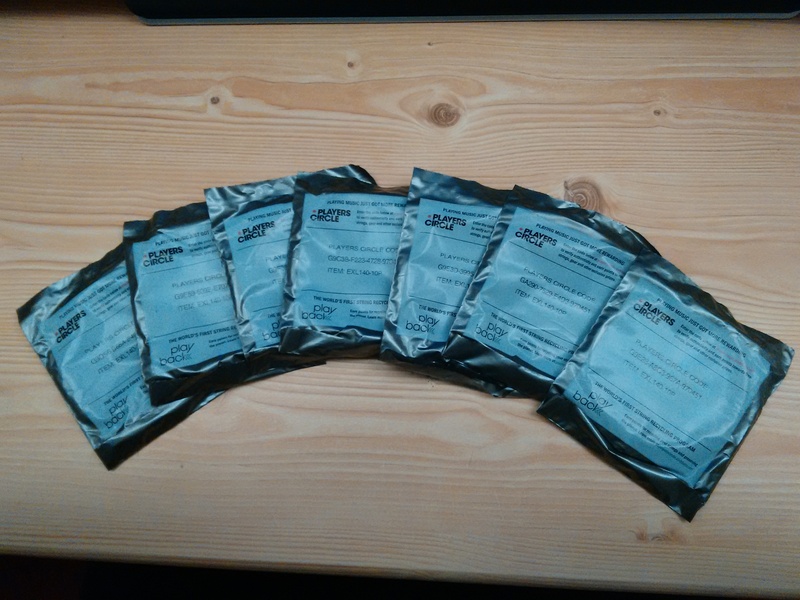 For 7 €, it's still very reasonable compared to other brands offering more resistant ropes. I put 9 with Fast Freight, but otherwise rapid wear 5: Fast-Fret really brings a big plus! 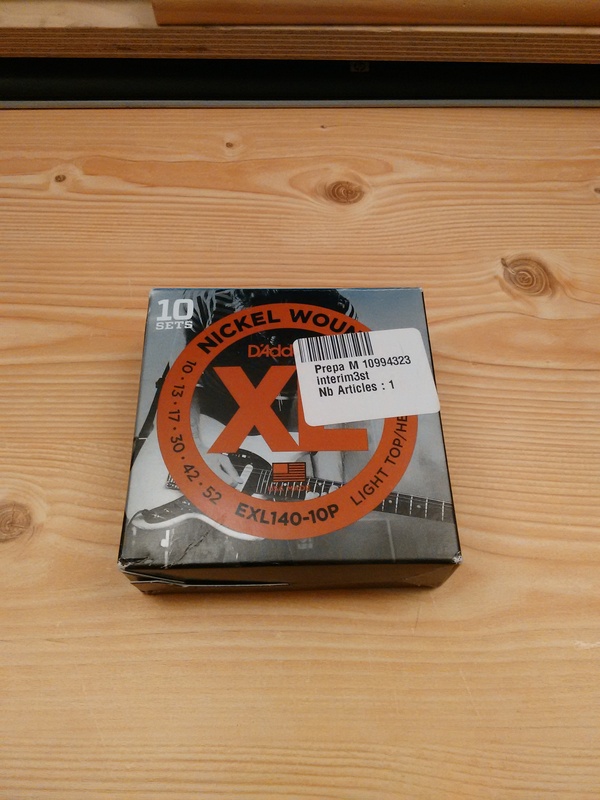 val.duvauchelle's review (This content has been automatically translated from French)" Do not buy"
Usually I use Ernie Ball 13-56 on my ES 335 on which I mounted a micro Jazz at Seymour Duncan. I plugged into a Fender Excelsior. That day, the seller is longer in stock. I take D'Addario. I've ridden there three days. The attack is too soft, the sound that differs too little depending on the intensity of the attack. I can not find the brightness of the sound that I'm used to. The clean sound is average. When I use an overdrive, the sound is flat and the warmth of its leaves. 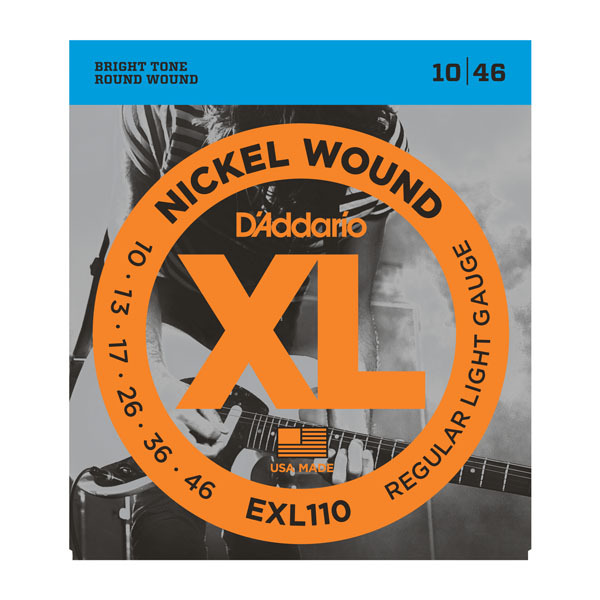 D’Addario announces the newest additions to its string set product line.